← Lame Adventure 9: A Shout Out to Lola on Her Birthday! Lame Adventure 10: Near Miss, Close Call! 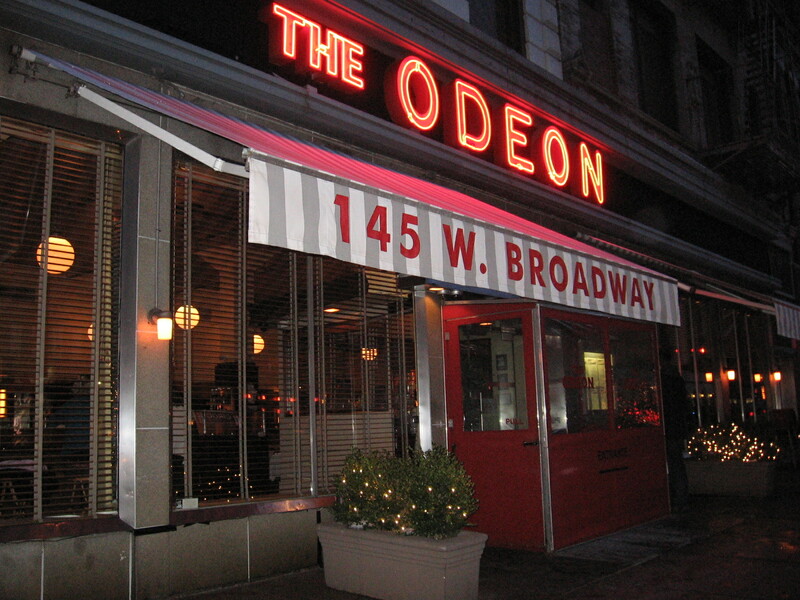 Monday evening, this blog almost comes to an untimely end, or at least an extended vacation, as I am walking down West Broadway en route to the Chambers Street subway station for the express train home from labeling tile to the Land of Maker’s Mark. Flying off the roof of the building housing Odeon comes a grenade-size chunk of ice that brushes against my sleeve before landing on the sidewalk with a violent smack. 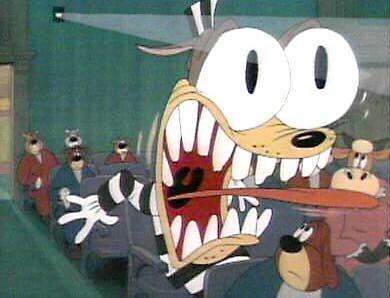 In response to the unwanted contact, I am so startled I perform a jump worthy of Winter Olympic coverage, or at least Tex Avery-style stretch and squash animation. My fellow pedestrians, two women, freeze in their tracks. They acknowledge that I would have suffered certain head trauma had I been walking a little more towards the left. Until this moment, I never imagined I would ever have any reason to claim that being on the right would save a heathen like me. One of the women declares, “Today’s your lucky day.” I counter, “Is it? Now, I’ve got to find another excuse to miss work tomorrow.” If she is thinking this bon mot to such good karma is pathetic she holds her tongue. She and her friend pander me and chuckle. They walk on, but I linger to take pictures, and pursue more Lame Adventures. 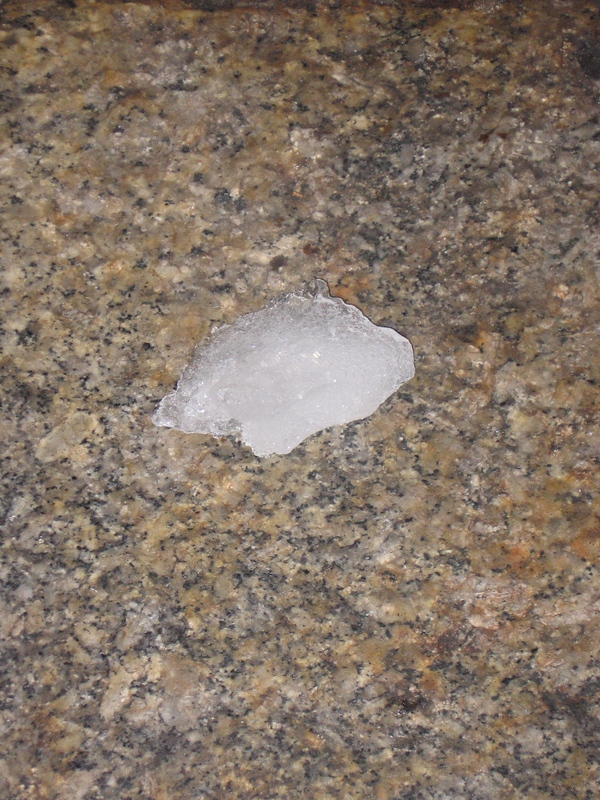 This chunk of ice does not look like much here, but it meant business! I've always preferred the outside more than the food. This entry was posted in Humor and tagged grenade, ice, odeon, tex avery. Bookmark the permalink. Thank God you were walking to the right!!! Don’t make a habit of it. Wow..I hope you picked up that Titanic size block of ice and brought it home to place in a rocks glass with some Makers Mark my friend! Somebody up there likes you so thank that bartender in the sky!